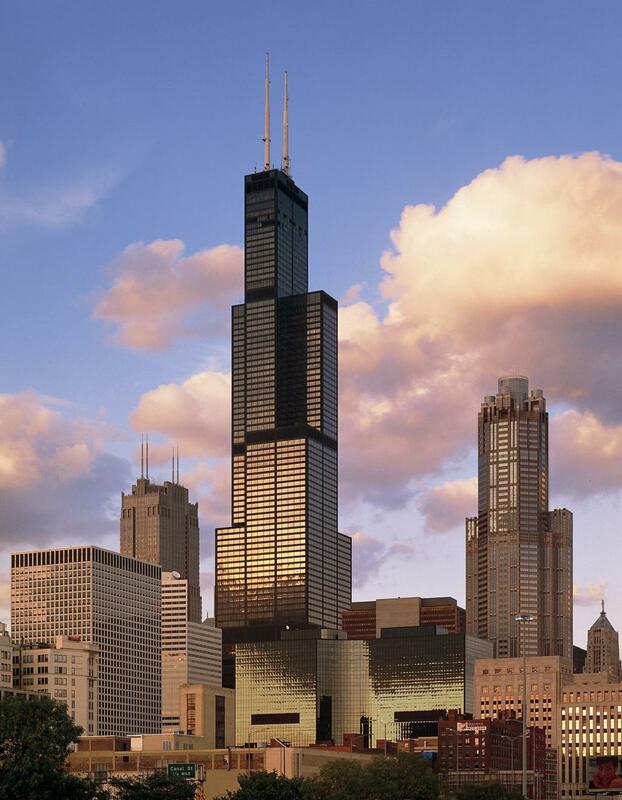 Previously named Sears Tower, Willis Tower is a 110-story glass and aluminum clad Class-A skyscraper that was completed in 1973. The subject property encompasses 2.96 acres of land and the build- ing contains a reported 4.5 million square feet gross and 3.7 million square feet of rentable office space. The property includes a five- level, 161-space parking garage located below the building. PR&A’s services were requested by the lender while considering refinancing and foreclosure options for the property. Our findings were used to project cash flow needs until a buyer could be identified for the asset. As deferred maintenance items can greatly increase operational costs, possibly resulting in an underperforming asset, PR&A was retained to provide a third-party opinion of the property’s condition and the deferred maintenance items required over a five year period. Our services included the use of specialty consultants to evaluate all building systems. PR&A was tasked with identifying the costs associated with maintaining major building systems, emphasizing current deficiencies and deferred maintenance due to a shortfall in operating cash flow from a loss in revenues.